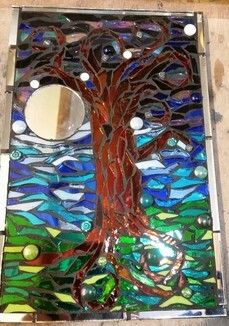 ​You will be taken through the process of glass cutting and shaping to create a fabulous mirror or wall panel. Finally you will grout your finished design. 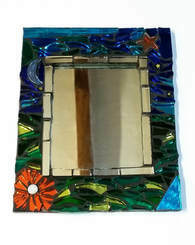 Each student will go home with a colourful and individual mosaic that they have created that day. Please choose another workshop or contact me if you'd like to be notified if there's a cancellation. 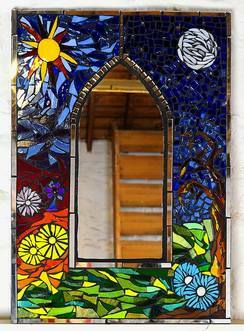 All glass, tools and materials are provided, together with tea, coffee and biscuits, and a light lunch. 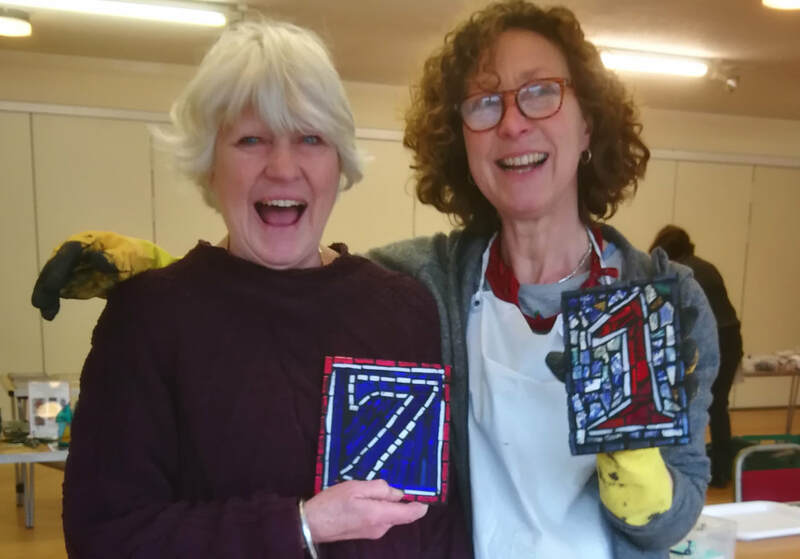 ​Why not book a stained glass workshop today!